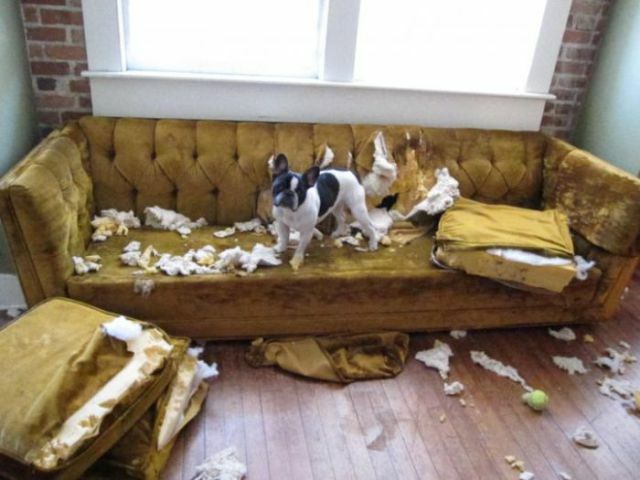 This little French bulldog apparently doesn’t like being left home alone. 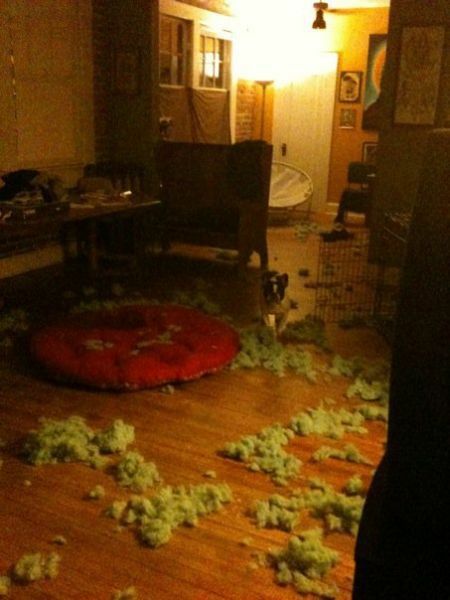 His owners will have a very unpleasant surprise when they return home. 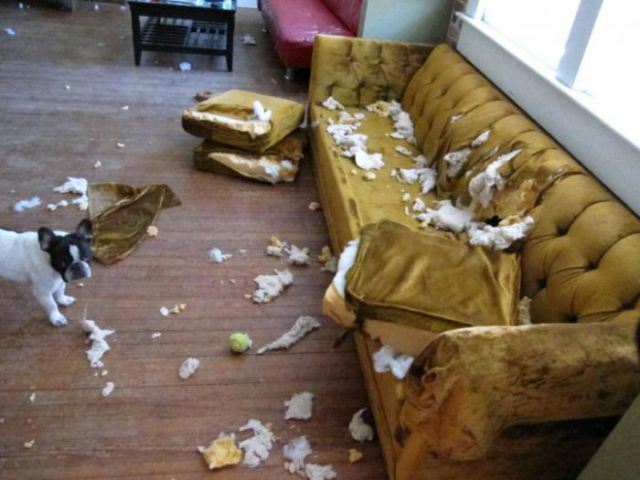 Time to get out the lighter fluid and a match - bad dog!!! 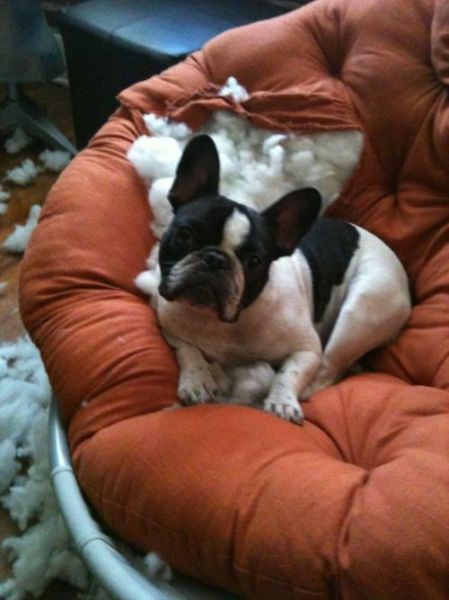 That's not a french bull dog, it's a boston terrier. and it's ok because their stuff was ugly anyways.